Do you need help to justify your attendance to NADA? NADA is not just for Dealer Principals. We have the education and connections for all positions in the dealership. Get the training you need to stay competitive in this industry. Join the conversation and tweet your approval stories and tips to #NADAGetAppoved. Online registration for the 2016 NADA Convention & Expo in Las Vegas is off to a fast start. Nearly 2,200 dealers and their managers registered to attend the convention during the first five days of registration, up 12 percent compared to the same time a year ago. And as one of the most popular destinations in the country for meetings and conventions, four hotels in NADA’s convention block have already sold out. They are Encore at Wynn, Marriott Convention Center, Renaissance Hotel and Wynn Las Vegas. Sixteen hotels are still available in NADA’s block. 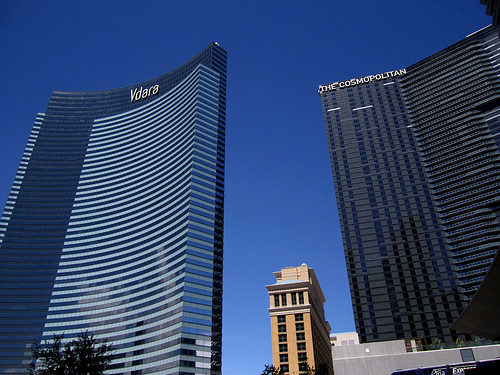 Other top hotels include the Cosmopolitan of Las Vegas, Aria Resort & Casino and Vdara Hotel & Spa. Aria and Vdara are located in CityCenter, which is considered a city within a city spread out over 67 acres on the Las Vegas strip and includes hundreds of restaurants and shops, spas, shows, nightclubs and other unique attractions. The NADA convention—which runs from Thursday, March 31, through Sunday, April 3, 2016—will be held at the Las Vegas Convention Center. Considered the “Automotive Industry Event of the Year,” the NADA convention includes dealer-manufacturer franchise meetings, new educational workshops for dealers and managers, hundreds of exhibitors on the expo floor showcasing the latest equipment, services and technologies for dealerships and numerous networking events for attendees. Dealers and their managers who register by Nov. 27, 2015, will receive the early-bird rate—a $100 discount from the onsite registration rate. For more information or to register, visit www.nadaconvention.org/register. The National Automobile Dealers Association announced its keynote speakers for the 2016 NADA Convention and Expo in Las Vegas. • Sunday, April 3: Peyton Manning, quarterback for the Denver Broncos, will provide an inspirational address. The NADA convention, which runs Thursday, March 31, through Sunday, April 3, includes dealer-manufacturer franchise meetings, hundreds of educational workshop sessions for dealers and their managers, several hundred exhibitors on the expo floor and numerous networking events. If you missed the NADA/ATD Workshop Proposal webinar, you can still view the recording! This webinar is for all who are interested in presenting a workshop at the 2016 NADA/ATD Convention (March 31 – April 3, Las Vegas, NV). Shana Gipson will discuss the submission process and give valuable tips on how to make your proposal stand out to the selection panel. The deadline for workshop submissions is 5:00 P.M. ET on June 26, 2015. The selection panel will meet in September to select the workshops they feel will be of most interest to the NADA and ATD membership. All submitters will be notified in October with selection decisions. The four day NADA/ATD Convention & Expo brought in over 23,000 people from 53 different countries and a lot amazing things happened. For a full recap of the convention please visit nadafrontpage/nada2015, but here’s a few of our favorites from social media. 1. Over 1,100 attendees walked 1,580 miles for our first ever Pedometer Contest! 3. Jared Hamilton’s NADA Super Session “Exceptional Experiences that Win Digital Buyers” was the most attended session with 556 attendees. 4. A Chinese Dragon made it way through all the Expo Halls on Friday. 5. Former NFL Player, Jerry Rice, made an appearance at the xtime booth, which made this woman very happy. 6. Our longest running exhibitor, Reynolds & Reynolds, celebrated their 50th year exhibiting at the Convention. 7. NADA exhibitor, DealerTrack, pulled out all the stop and had their event at AT&T Park on Saturday night. 8. Dealer Greg Noonan won the Adesa Auction for a Harley Davidson motorcycle benefiting Canine Companions for Independence. 10. And this woman – who accepted the “Game Challenge” in the Mind-Body-Spirit Lifestyle Pavilion and showed us all Who let the Dogs Out. For more convention related information, make sure to follow us on Facebook, Twitter and Instagram (@NADAConvention). Fisherman’s Wharf: View sea lions, savor fresh seafood and board excursion boats. North Beach: Home to Italian heritage,cappuccino, cabarets and jazz clubs. Chinatown: The oldest and among the largest in the U.S., where unique architecture, intriguing alleys and shops abound. Embarcadero/Financial District: Grab a locally-grown bite and hop an outbound ferry. Union Square: Indulge in luxury shopping and people watching in this designer goods mecca. SOMA/Yerba Buena: Home to Moscone Center, anchoring a neighborhood where world-class art galleries and museums mingle with sleek nightclubs. Mission District: Enjoy murals, Latino culture and some of the best weather in the city. 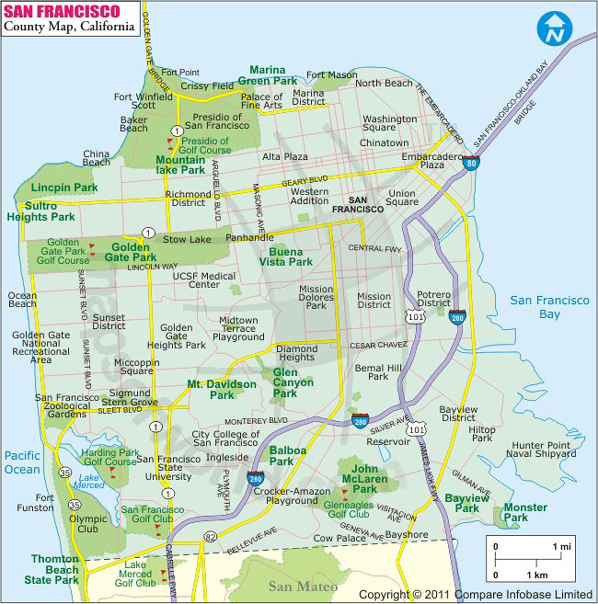 Bayview/Candlestick Point: State park lands, diverse experiences, and one of the largest concentrations of working artists in the U.S.
Haight-Ashbury: Home to Alamo Square’s “Postcard Row” and the city’s tie-dyed roots. Civic Center/Hayes Valley: Eclectic shopping, performing arts and Beaux Arts wonder City Hall. Nob Hill: features the best view of the bay and our famous cable cars. Marina/Presidio: An urban National Park with scenic views of the Golden Gate Bridge. Buy and Sell Cars from an Online Auction? No Way! It’s hard to believe, but I still hear used car managers, GMs and owners tell me they refuse to buy vehicles from an online auction! If it was 1990, I could go with it. The reality is, it’s 2014 and those who still think online acquisitions are something those ‘geek types” do, will be left to sift through the leftovers. I’m not saying there will be an end to the brick and mortar auctions, there will always be a need for those. What I’m saying is, if you want to find the best possible selection of vehicles, the ones that have high retail demand, you better figure out how to make online acquisitions part of your regular buying routine. There are many dealers that have successfully conquered buying and selling wholesale in the digital realm. It’s not as hard as you may think to set up a “war room” as some of my dealer friend’s have affectionately named the office where they have multiple monitors to bid and buy remotely at live auctions. They also bid and buy on static EBay style auctions day and night! Is this something you can flip and switch and make happen overnight? No! But all you have to do is sit down and make a plan. Plan to set aside the time understand the differences between online and in lane. Make a plan to get training and support from your on line auction. Make a plan to set up policy and procedures within your dealership’s wholesale team regarding on line purchases. Plan on making a couple of mistakes on your first purchases (it’s ok, it a learning curve). But most of all, plan on being able to find the cars you need to meet your used vehicle departments retail plan! Learn what you need to know, before you go! Start your 2015 NADA/ATD Convention off right. This webinar will discuss what to expect, how to maximize your time, and how to better utilize tools to help you get the most out of your convention experience. The presenters will explain convention resources such as the mobile app, program directory and social media, as well as help you make educated decisions about which workshops to attend. Register now and take advantage of this webinar to hear from Convention and Expo planners as they give you an in-depth insider’s look of the Automotive Event of the Year!